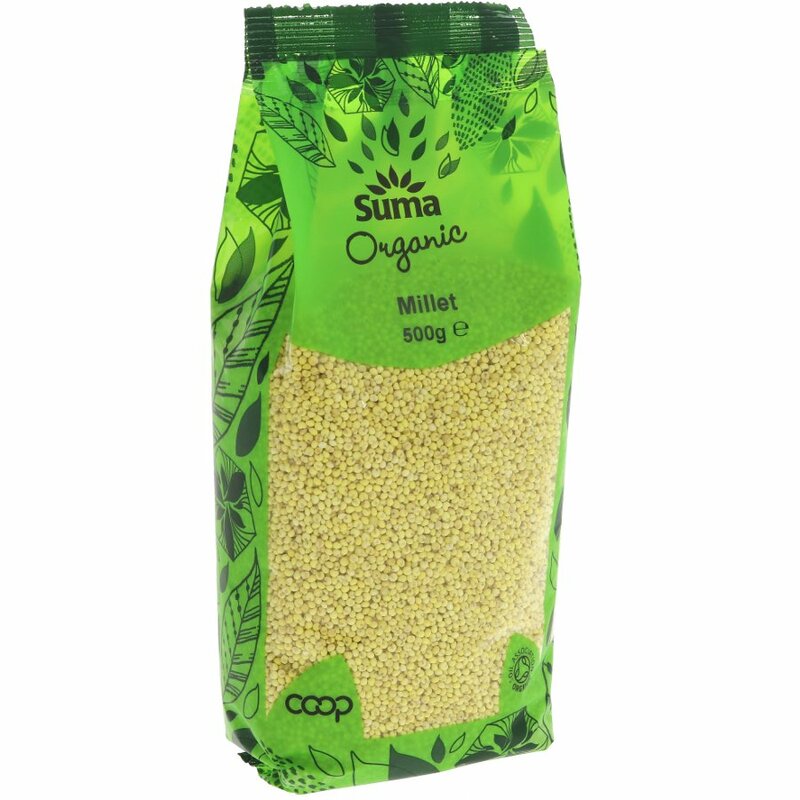 500 grams organic, vegan friendly Suma Prepacks Millet. The Suma Prepacks Organic Millet - 500g product ethics are indicated below. To learn more about these product ethics and to see related products, follow the links below. Can get a bit "solid" if not cooked carefully. I fell in love with millet porridge in China and have been trying to replicate it ever since. These are the closest yet, but I'm not quite there. Q: Is this product whole grain? A: The millet is hulled, Quinoa however is not a grain but a seed and is such is not hulled. John.